The other day, looking for “busy work” so as to avoid jobs like cleaning the cellar, etc., I chanced on my teens era RCA Victrola. It’s a trade model and has always been quite good. I put on a Victor “double disc” record, wound up the machine, released the turntable brake and awaited music. The turntable barely turned and the terrible low speed music was accompanied by an unfortunate reoccurring screech. I know quite a lot about this machine’s history and it has had minimal and gentle use. Nothing to do but to take it apart and see what’s wrong. Inside there is a care and maintenance label. It suggests lubrication. RCA wants you to use Vaseline…but there was a little blue jar of Vicks Vaporub. Just medicated vaseline, right? Dave’s garage would be proud of me! Did it fix the Victrola? No, but the gear train worked real smoothly and smelled healthy just like me. The problem turned out to be a slight warping of the aluminum turntable so the underside would hit on the breaking mechanism, drag down the speed and screech. I ground down the high spot and now it’s all music to my ears. In the 1950’s, Mahlon Teachout bought a Victrola from the estate of a woman who was said to have received it as a gift from a suitor who never returned from WW1. She never could bare to play it and it was put away. Some time later, I got it in a kind of complex trade with Mahlon. He got a small plot of land and a ruined saw mill building and I got the Victrola and a 1920 Buick GK45 touring car. The Buick made it to one of the first Stowe Car Shows but I cannot say for sure, the very first. 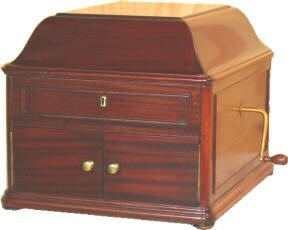 I sold it to get married in 1960 but I still have the Victrola and good memories of both. In the early 1950’s the Goodyear Tire Company would publish a 2-page centerfold advertisement in the Saturday Evening Post showing a pictorial history of cars with Goodyear tires. 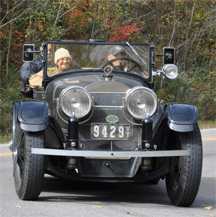 These were great little pictures and my most favorite was 1925… a Locomobile Sportif. I copied and recopied this picture a lot (The Jordan also caught my eye and I could tell you a Jordan story from some years later). Later, in 1959, I acquired an ALF fire truck for $275 (another story) and it ran like a champ, 825 cubic inches of 6 cylinder T-head with 4 inch straight exhaust, twin ignition and enough radiator to keep it cool. Wow! Who designed this wonder? Andrew Lawrence Ricker did, earlier, for Locomobile. So, I began a hunt for a Locomobile. John Hawkinson, an early VAE mentor showed me one he had rescued for Albro Case in West Hartford, CT. His was a handsome brougham sedan but not the Ricker engine – and it really wasn’t for sale. In June of 1960, my new wife and I detoured from our wedding trip in Maine to greater Philadelphia to look at another. It, too, was a later sedan, small Series and had been in a fire…not too bad, puckered fenders and hood, but running, and not expensive. Judy, new wife, wasn’t impressed and I got over it quickly. 20 odd years later, I was bemoaning this history to Steve Dana and he said, “Do you want a Locomobile?”. Dumb question! He said H.M. Burrows in North Springfield has several and would probably sell one. I was aware of Mr. Burrows, as we had mutual friends, but had never seen his cars. This story begins to sound like one recently published here by Rusty Bolts. 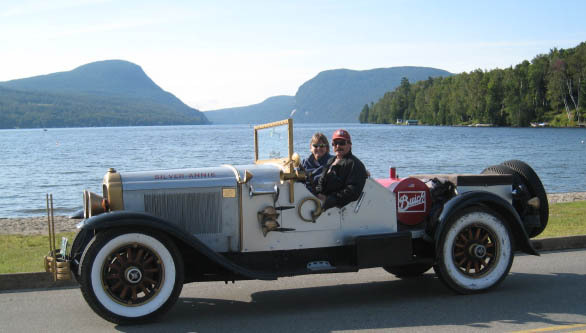 Rusty’s story about Fred Gonet and his wonderful 1908 Locomobile echo’s my own experience with Henry Morris Burrows. I went to look at the cars and walked right past the 1908, a 1911 Loco, a Mercer race-about and a 1915 Mercer roadster. 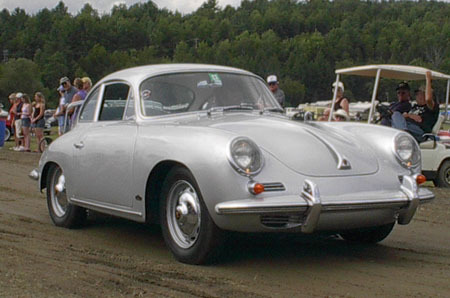 There was also a Porsche 911 and a much later special order Chevrolet 2-door. Mr. Burrows needed room in his garage and the 1918 Sportif took up a lot; twice as much, as he had scattered it all over the shop. He loved to inspect things as Rusty explained. We sort of negotiated and it took several interviews and a “home visit” so he could check our home and family to assure a secure adoption. We finally “passed” and I sold my really nice 1950 Cadillac convertible to fund the venture. That, and a little help from VAE member Bill Billado who was a branch manager at the Chittenden Bank. I sold Bill his 1935 Buick convertible sedan as one of his first cars. I went to present payment and Mr. Burrows said, “Oh, and did I mention the spare engine? That’s another $2500.” Oh no! Well, somehow we robbed the egg money and it was all mine! The car came home in the early ’80’s in pieces. It took me years to get it together and help from now “cousin Fred Gonet” to get it properly timed and running well. You see, some years later Fred auditioned for and got the Model E 1908 for himself. The 6 cylinder T head in my model 48 is the 525 cubic inch inspiration for the just bigger 825 edition in the ALF…same stuff, same power, same noise and better with a Frank deCausse Sportif body. The factory slogan was “easily the best built car in America” That’s why a Locomobile. Like many things, “home grown” is often best… and so it was with VAE. 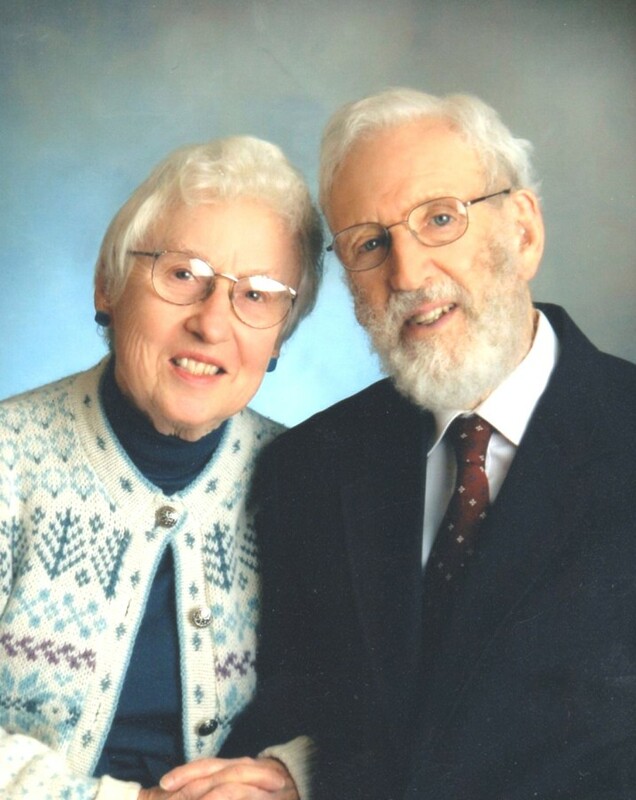 Springing from a husband‘s interest, (obsession, in her mind) Anne Gypson encouraged the formation of the kind of club for others like Ken Gypson to share their interest and enthusiasm. She couldn‘t have possibly known the consequences of her actions. Here, 56 years later, we are several hundred strong; a corporate entity and still enthusiastic. In this reflection, one can look back over this half century and muse … how come, who‘s responsible? A local boy, Rod went through Pomeroy School (now gone – vanished) in Burlington and then on to High School. Timing was such (he was born in 1924, April 22) that WWII interrupted college and he spent some time as a B-24 bomber pilot. Rod mentions that as the teetotaler of the crew, he was the designated driver when his crew ?went out?. One good thing to come out of this was a chance to buy a military surplus Harley 45 near the end of the war. He did and he was hooked! 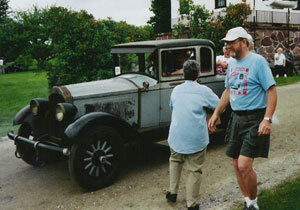 Later the 45 became a neat 1934, Model 74 that he drove until 2 years ago. Another Rod find was a Studebaker Touring Car from, I think Idaho. 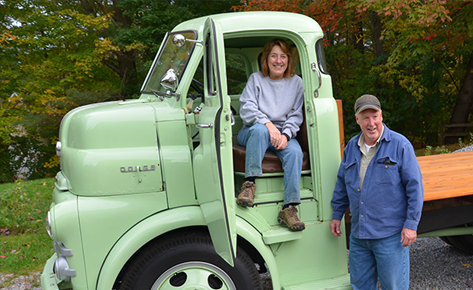 After the war, Rod came home and went to UVM and being an outdoors person, he majored in Dairy Manufacturing. and became a legend in the Green Mountain Club, (GMC) as a hiker and helped in train and cabin maintenance on the Long Trail. 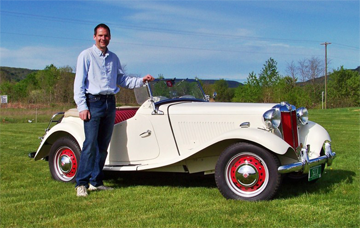 Rod’s greatest stories include his drive up Camel’s Hump in a recently acquired Franklin Roadster with chains in the winter. Another tail was his drives (several times) up and down Mt. 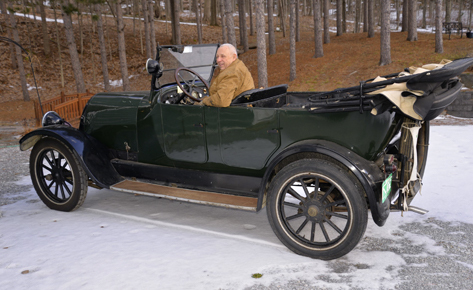 Mansfield toll road in his 2-wheel brake Cadillac and with his Stevens Duryea – to who can guess where. The other Stevens, well it went off to Jerry Duryea… Rod mentioned a few other cars he may have kept: a big DV Stutz, a Stanley, and maybe that Studebaker from Idaho. The cars listed in the Roster have been with Rod a long time and he used to drive them all a lot. Rod takes good care of things; consider Nosey his 23 year old cat who purrs along pretty well. The photo (below left) is very recent. Emily looks great … we don‘t know about that beard, Rod. Rod is known to have attended more VAE meetings than anyone, living or dead. He has helped and encouraged more enthusiasts and potential enthusiasts than, to my recollection any other member. Rod not only collected and preserved old cars (and motorcycles, boats, etc.) but he shared them. Rod drives his cars—an example to all of us. There is a great deal more to say about Rod Rice, but why not let Rod himself share that with you. At 85 and recovering from last year‘s stroke, he has slowed down a little. Give him a call 802-864-4036 or drop him a line at 201 Prospect Pkwy, Burlington, VT 05401 and maybe you can set up an appointment to visit with Emily and Rod. Don‘t forget to check out Nosey the cat and if you are lucky, you may just get to peek into his garage. Let’s see. Should I join an old car club: ____YES or ___NO? This may not have been a pressing question for you and you may or may not have done so. I did, in 1954 and I’m glad I did. Let me tell you why. First, we should assume that you have a pretty strong old car interest. (I can’t imagine how any reasonable person wouldn’t but that may be the part of what my 50-plus years with the Vermont Automobile Enthusiasts has done to me). At 16 years of age I was probably the auto nerd of my high school. My interest wasn’t speed or noise, it was age. The day that Jimmy Davis sold his Model “T” for scrap, (I viewed it in the junk yard but it was painted barn red, probably with the barn broom and I decided against any resurrection attempt), I then had the oldest car in the school. It was a ‘27 Chevy Superior Landau Brougham; a pretty nice original car. 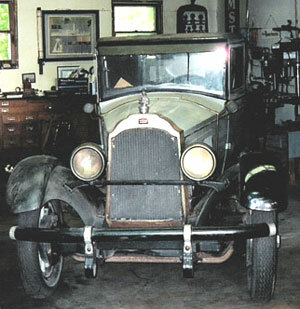 I also had a ‘32 Chevy, most of a ‘28 Chevy and a ‘29 Viking out of parental sight in charitable garage space around town. Too many cars, too little money resources, not enough knowledge and encouragement, no parts sources, and no general support group to network with. weekends weren’t times to get into teenage trouble, they were for road trips to distant, formerly unknown junk yards. Better yet, maybe helping somebody with a new barn find. Often just a drive around giving you a chance to drive somebody else’s car. My first experience with a full-fledged Rolls Royce came that way. ‘Never would have happened without the “old car club”. I could go on and on telling you about what I learned and enjoyed from our monthly meetings. The peers here were a bottomless source of history, technical stuff, places to find what you thought you needed, entertainment, support and fun. There were members into period music, movies and prominent people. I learned more history here than back in my high school classroom. The reason to share this with you is two-fold. 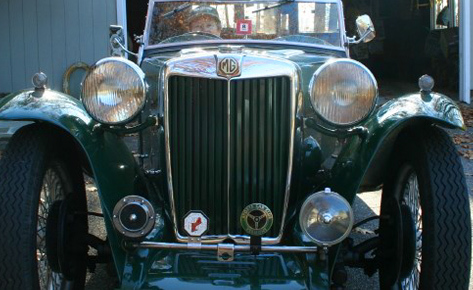 First, I hope that my enthusiasm comes through and might encourage your membership in our Vermont Automobile Enthusiasts, Inc. or a local club or chapter of a national club. Good. Second, we need your help in securing the future for our auto interests and our auto clubs. Statistically, club membership is aging. We are not doing for the younger folks what the VAE did for me. Part of this is our fault as maybe we have not shared enough with younger people. Maybe we assumed that they weren’t interested. Let any kid drive a Model T and chances are they would get interested… but we haven’t done enough of that kind of thing. If you have made it this far and you are a younger person… we’d like to share with you. Approach members at the show and mention an interest. Ask questions! We love to talk about our cars. Want to ride or maybe try driving an old car? Speak up! If you are a little older – same deal. If you are part of a multi-generation family, why not sign-up older and younger members. Oh, by the way, this isn’t just a “guy” thing either. 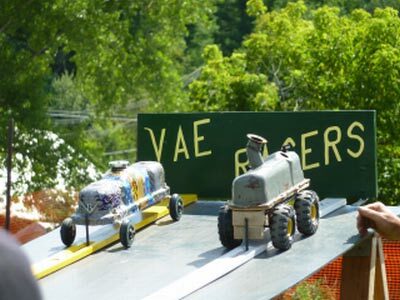 The VAE has many lady members including Stowe Show workers, a senior Vice President (soon to be president), our newsletter editor, the Shelburne Car Show chairpersons, Vintage Fashion Show coordinator, etc. The whole family can have a great time sharing the history and fun with our hobby and we urge you to try it. Many members start with no car and no real specific interest, and find both over time, through VAE events. Let’s go back to the top of the page. Check the “YES” box and sign-up today. We’re expecting you at our next event. Some time back my wife Judy saw and admired the new BMW resurrected Mini Cooper. She likes small cars and really liked this one. “It shouldn’t be that expensive”… she thought… but it was. Admittedly they were kind of neat I thought… but quite beyond budget. “How about one of the originals?”, I suggested. They can’t be that much. 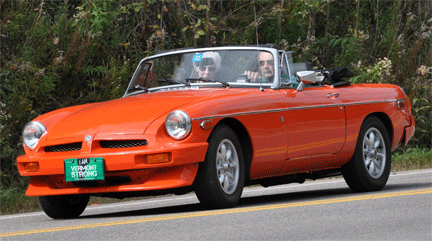 Driver John Buffam brought a brand new one, in the 60’s, to our VW dealership to be “set up” for rallying purposes. VAE Friend and rally master Bill Moreau was a mechanic there at the time and it was his interest that got the car delivered to our shop. Bill did great work on the car… except for the “Hydrolastic” suspension. Wow. He did something and the car collapsed on the shop floor never to rise again. Several days later we quietly rented a trailer and took the darn thing to a shop in Montreal where they quickly fixed the problem. We spiffed the then-ready car up and delivered it to John who did quite well with it on the rally circuit. I think that Bill went along as navigator, not as a suspension mechanic, and the team became Canadian champions. Should I look for one of these “originals” for Judy? I checked Hemmings. They are kind of neat, I thought… but they too seem now, to be “quite beyond the budget”. And then there is the “Hydrolastic” thing. With Bill living in nearby Waterbury there might be a risk. This “moment” may be food for thought… but more exactly it’s food for the car. Food for most cars is gasoline and today we are going to give this wondrous stuff some thought. Well, not really the gas so much as the way the vehicles gets its “food”. Most of the early cars with their “up-draft” carbs got gas the Newtonian way… gravity. The gas tank was located in a higher plane than the carb and the gas ran downhill to the vaporizer. Fords kept this primitive practice probably longer than any other major brand with the Model A gas tank located in the top of the cowl right in front of the front seat passengers. A plus was the fuel gauge… it was a float gauge right in the tank sticking through the dash and visible right there above the other instruments. Although simple there were other problems with the gravity system: Steep inclines often defied gravity… or actually they didn’t and the climbing car would have to turn around and back up the hill as the tank was usually behind the engine. Higher quality cars… read that as more expensive… solved the problem another way: They pressurized the fuel system. The tank was sealed and from a small hand pump in the dash, the operator “pumped up” fuel pressure, usually 2 or 3 pounds. The only way out for the gas was up (or down) the fuel line to the carb. After the engine was running, a small mechanical pump driven by the camshaft would take over for the dash hand pump and the car would generate its own fuel pressure. This system, like Rod Rice’s Cadillac and many other cars of the teens and twenties, required 3 fuel lines, pumps, tight seals, etc. Stewart Warner discovered the vacuum tank. 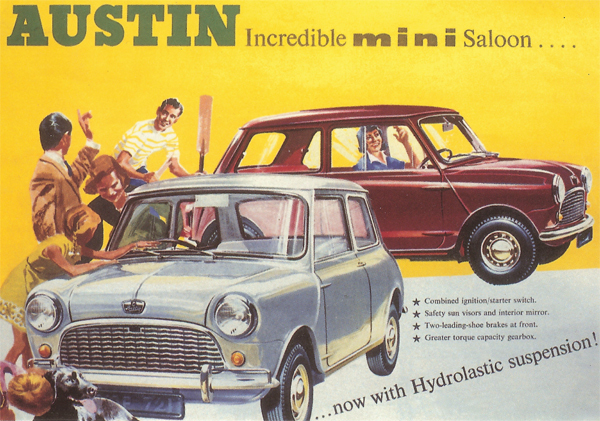 This marvel was loved or hated by the majority of car owners lasting slightly longer than the pressurized style. The vacuum tank was a clever tank within a tank that mounted on the firewall of your car. Most cars were still “up-draft” so the vacuum tank was well above the carb. Running off vacuum from the intake manifold, the vacuum tank sucked gas from the cars main rear tank and stored it in the bottom of the vacuum tank. Then it was Newton again as gravity fed the lower carb, controlled by the carb float and needle and seat. Using our esteemed mentor, Rod Rice, again, he threw the vacuum tank from his quality Stevens into the bushes and put on an electric fuel pump. Others too have had “vacuum tank problems”. A certain Willys Knight in the club for years doesn’t have enough manifold vacuum to assure not running out of gas… and it often does. …in some people’s blood… witness stock car racing as the world’s largest spectator sport. How about “blood” being in racing? In 1915 Howard E. Blood got into American auto racing big time. To get his new cycle car off the ground, Howard had big plans for his little car. 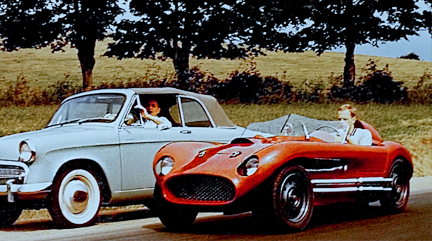 The car was the Cornelian, a cycle car of 500 lbs displacing 103 cubic inches (powered by a Sterling engine). The big part came as Howard got Louis Chevrolet, recently of the Chevrolet Automobile Company and a seasoned and successful race driver, to agree to race the new car. The cycle car was well made and sported a uni-body, independent rear suspension and a “suicide front axle”. 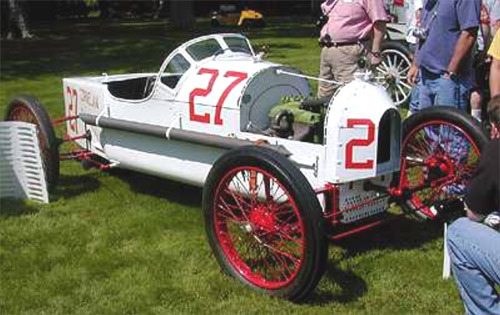 Undaunted by it’s size and power, Louis qualified for the 1915 Indy 500 with Howard’s jewel. With a qualifying speed of 81 mph, the Cornelian was in. History reports that Louis was having a great, albeit little, ride when on the 77th lap he broke a valve and had to retire. It is interesting to note that the Chevrolet car grew out of the Little Motor Company… and that the little Cornelian grew out of Chevrolet’s race. Post-race orders looked good for Howard and his petite product but after production of 100 units, the writing was on the wall and the Cornelian dropped from sight. Should you doubt this story, check the museum at Indy Speedway. The smallest car that ever raced at the Brickyard 500 is there, uni-body and all. Do you think that modern technology can tease 200 horsepower out of 57 cubic inches of displacement? Wow, how fast would it have to turn and could you do it on standard fuel and would it pollute? Almost 200 years, around 1820 it was done… by a Scottish minister named Robert Stirling. You may have heard of man and engine but to fully appreciate both read on. The Stirling engine is not an internal combustion engine… it is an external combustion (think heat) engine. Here is what Sam Julty had to say about the Stirling in 1974… long before there was the fuel and pollution problems of today. “Unlike the Otto-cycle engine found in todays cars, the Stirling engine thrives on external combustion. That is, consumption of fuel takes place outside the combustion chamber where the power impulses are born. Thus when a constant fire is going at a steady rate, pollutants are already drastically reduced. The engine is noiseless and vibration free. It has no carburetor since fuel is fed to a separate firebox. It has no valves since fuel is neither introduced nor removed from the piston area. It has no flywheel since the engine has two crankshafts, which are turned by movement of the pistons. It has no muffler since combustion is silent and it occurs in a separate chamber. The principle behind the Stirling engine involves the use of expanded and contracted gas working on the pistons. The gas may be steam or vapors from some exotic element. Each cylinder has two pistons, one above the other. Each cylinder has a small pipe, which runs from the top end of the cylinder to a point below the upper piston. When the lower piston, called the power piston, just completes a power stroke, it is in its lowest position in the cylinder. 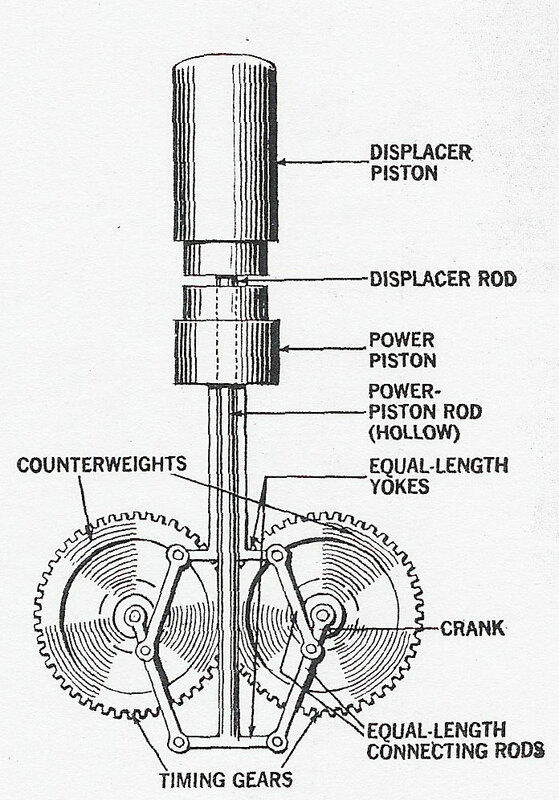 The upper piston, called the displacer, is in its highest position in the cylinder. The gap between the two pistons is a fixed volume of gas, which is at a fairly low temperature. As the power piston starts to move upward, some of the gas is forced into the small tube and is piped to the head of the displacer. There, the gas is headed and in expanding, forces the displacer downwards. This forces more gas to the top of the displacer where it is headed and expanded. At a certain point, the displacer blocks off the passageway to the small pipe, and whatever gas exists between the displacer and the power piston is trapped. As the displacer is forced further downward by the expanding gas, it pushes the power piston down to turn the crankshafts. The cycle then repeats. Note: There are no explosions driving the pistons. Rather there is merely a fixed volume of gas, which is heated and cooled. A 4 cylinder Stirling engine CAN produce 200 horsepower from 57 cubic inches.” Wow again. BUT, you say, But is this really a steam engine? Not necessarily. Steam probably in 1820… but today we can get heat pretty quickly and efficiently from a variety of sources: atomic, chemical or electrical. I wonder who will be first to put a Stirling performer in their product? GM could use a boost. With apologies to the Timex people, here is another chapter in the 76-year-old life of this Willys Knight coupe, model 56. As pictured in the VAE 40th commemorative book as the car with the most VAE member owners it seems to have been adopted yet again. Some history would include that fact that the Knight came to Vermont in 1954, from a junkyard in NY I think, as a birthday present to himself… by VAE founding father Peveril F. Peake. $35 and some tire work and he drove it home. As a coupe and with a heater, PF thought it would make a good winter car. With 9 quarts of oil in the sleeve valve engine it was not that good of a choice. It cranked over painfully on those below zero mornings in Bristol. The Jewette touring car was in the garage as the queen of the Peak fleet so the Knight languished in the driveway. The first time the longest owning (to date) member saw the car, it was headed into the Lincoln Inn parking lot white from the belt molding down with Vermont road salt. When questioned about this unusual punishment Pev mentioned that it was, after all, his “winter car”. That was December 1954. That was then. We figure that the car was driven about 100,000 miles in the next 3 plus years and consumed untold 2-gallon cans of inexpensive oil and a lot of time “on the road”. Retired to the way back of the barn it sat idle until 1996 when it was reawakened to go the owner’s 40th high school reunion. It rained so hard that it didn’t make the event and quickly went back to sleep. This is now. Enter Charlie Thompson, the Willys, Whippet, Willys-Knight VAE member. Congratulations to Charlie and the Overland guys. What we need now is for Charlie to tell us what really happened between the first photo and the last. I bet that Wheel Tracks readers would also like to know more about the Willys Overland Registry and their interest and activities. Call Charlie and urge him to confess. Today’s tenuous transportation topic is tires. You probably know quite a lot about tires… there are at least 4 to the average car and really necessary for a number of reasons. Depending on your personal auto interest, and the older your car, the more you know. Tires by design and manufacture have greatly improved in the last 100 years. Self-propelled vehicles began with traditional wagon or buggy wheels and most were hard rubber rimmed. I have never had such a vehicle personally… but there are several in the club. Some years ago Kip Mathews, sometimes VAE member, did and had tire trouble. The Amish came to his rescue I believe. This group still believes in hard rubber and they do great work. I did have a Model “T” once with hard rubber “tires” but that’s another story. After riding on hard rubber for a fairly short time somebody invented pneumatic tires. There were a couple of experimental flexible wheels tried but the air filled tire won out. From early on there were 3 types of tire “beads” that would allow the tire to be attached to the rim – removable to repair the inner tube or to replace the tire itself. The 3 types were: plain clincher, quick detachable clincher, and straight side. If you are a Ford, 490 Chevy or Overland person, you are familiar with the clincher rim and “Clincher tire”. The tire in cross section looks like a horseshoe with the ends bent back up. These bent up ends secure themselves in a rim permanently mounted to the wheel. This rim looks like the letter “C” lying on its back. You changed tires and repaired leaks with the one-piece rim/wheel right on the car. At least it was held steady. In order to be mountable, the plain clincher tire was quite flexible and could be man handled onto and into the rim. The quick detachable clincher tires were hard, not flexible and were supposed to be a lot tougher. With luck they also mounted easier as the outer side of the clincher rim was bent so as to allow two lock rings to fit together to hold the outside tire bead after the tire was slid onto the rim. The inner bead and rim stayed on as the plain clincher and now all you had to do was get the darn rings into place and quickly get some air into the assembly. If not properly seated, lock rings could (and would) blow off and inflect serious damage. Remember that tire pressure in the old days often ran to 80 pounds or more. Straight sides came next… thank goodness. These tires looked pretty much like today’s with the tire bead forming just a regular horseshoe shape in cross section. Straight-sided tires needed to fit quite closely into a “U” shaped rim. By now rims were pretty much demountable… and collapsible. The split rim came off the car’s wheel and then folded in on itself to decrease the diameter and allow the straight-sided tire to be easily mounted. With the tire in place you expanded the rim, which snapped together in a perfect circle – you hoped – and with air you were back in business. All this has passed, however, and today we enjoy the “drop center” rim, a straight-sided tire is started over the rim, which is now the entire wheel as well. The mounted edge falls into the valley of the rim allowing more tire to be available to be stretched over the other side of the rim. This works great and for the last 75 years has been what we’ve used. More on tire sizes later… and that is another “tired” motoring moment from your old car club.